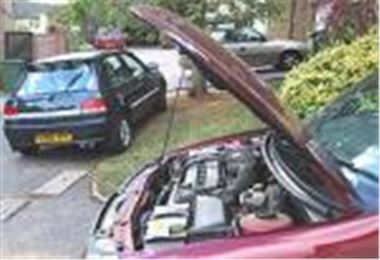 According to www.warrantydirect.co.uk, millions of motorists will face an unexpected and unwanted repair bill averaging £358.89 just before Christmas or early in the New Year. Based on 30,000 policies, the independent automotive warranty specialist warns that the cost of driving during the winter months can leave many with a nasty repair bill at a time when turkey, presents and January sales are the order of the day. Compared to the summer, January to February sees 22.5 percent more claims for alternator failure, nearly 17 percent more problems with water pumps, and a massive 106 percent increase in breakdowns caused by faulty engine oil parts. Similarly, petrol injection systems are 80 percent more vulnerable during the winter than the summer and the clutch is 32 percent more likely to need replacing as the rain falls and British roads go into stop-start mode. Cracked engine cylinder heads account for one in twelve claims handled by Warranty Direct with an average bill of £531.47. Power Steering grinds to a halt for 10% more drivers in the winter than the summer with a £313.89 average bill to rectify. price of 2 on warranties taken out between now and the end of the year. Besides covering all the conventional parts and labour costs, policyholders also benefit from 24-hour Freephone helpline, at home and roadside assistance, replacement car hire and overnight accommodation.